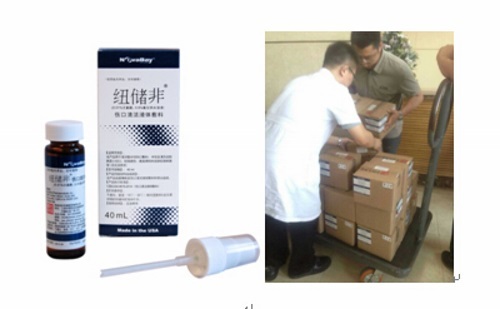 HONG KONG, Aug 14, 2015 - (ACN Newswire) - China Pioneer Pharma Holdings Limited, China's marketing, promotion and channel management service provider dedicated to imported pharmaceutical products and medical devices in China announces that it is going to offer free wound dressing liquid cleaning medical equipment product NeutroPhase to hospitals in order to help victims who suffered level one, level two and level three burns in the explosion in Tanggu, Binhai new area, Tianjin. China Pioneer Pharma will provide medical assistance to enhance the clinical treatment of burns and help the wound healing of serious patients and avoid the risk of fatal infections to save their lives. The hospitals include Tianjin Teda Hospital, Tianjin Fifth Centre Hospital,Tanggu Hospital of TCM, Tianjin fourth Hospital(Burn Department), Tianjin First Centre Hospital, Wujing Hospital, Tianjin Port Hospital. Mr. LI Xinzhou, Chairman and Executive Director of China Pioneer Pharma said: "The biggest challenge of curing severe burns is the treatment to prevent potential infections. The active ingredients of NeutroPhase is a pure form of Hyhypochlorous acid (HOCL), which mimics a naturally produced substance by the immune system as a first defense against microbial invaders could kill bacterium, fungi and viruses in a second and facilitate the recovery of the burn wounds It is the only ideal wound care treatment available that is highly effective and safe. After the explosion accident in Binhai New Area, Tianjin, when we learnt about the shortage of relevant drugs, it's our obligation to fulfill the social responsibility of a pharmaceutical company. Our company would like to provide a large amount of NeutroPhase for free to reach out for burn patients. We are willing to support the needs of local hospitals and send American experts to Tianjin for more guidance. China Pioneer Pharma will continue to closely follow the progress of this incident and deliver reliefs of full extent to the unfortunate victims and their families." NeutroPhase is a new skin wound and cleanser; its active ingredient pure hypochlorous acid is a substance produced naturally by the immune system as a first defense against microbial invaders. This product uses the unique mechanism of HOCl to kill bacterium (Gram-positive bacteria and gram-negative bacteria), fungi and viruses quickly to control infection and neutralize bacterial toxins. It can be widely used in a variety of acute and chronic skin damage treatment including burns to promote wound healing without damaging granulation tissue. NeutroPhase is manufactured by NovaBay Pharmaceuticals, Inc. (NYSE MKT: NBY) and China Pioneer Pharma became its exclusive agent in China and Southeast Asia approved by The US Food and Drug Administration (FDA). NovaBay Pharmaceuticals is a clinical-stage biopharmaceutical company focused on addressing the unmet therapeutic needs of the global, topical anti-infective market with its two distinct product categories: Aganocide compounds, led by auriclosene, and its Hypochlorous Acid Family of Products, led by NeutroPhase. The Hypochlorous Acid Family of products includes NeutroPhase for wound care, as well as two new recently introduced products: Avenova for the eye care market and CelleRx for the dermatology market. China Pioneer Pharma is one of the leading comprehensive marketing, promotion and channel management service providers dedicated to imported pharmaceutical products and medical devices in China. The Group was established in 1996, and was listed on the Main Board of the Hong Kong Stock Exchange (Stock code: 01345) on 5 November 2013. The Company has strategically focused on providing comprehensive marketing, promotion and channel management services to small and medium sized overseas suppliers, and is generally the sole provider of such services in China for the relevant products. China Pioneer Pharma runs a diversified range of imported products (substantially all of which are prescription products), covering ophthalmology, pain management, cardiovascular, respiratory, gastroenterology, immunology and other therapeutic areas and a range of medical devices covering four medical specialties, including ophthalmology, odontology and wound care. The Company has also secured marketing, promotion and sales rights for 14 additional prescription pharmaceutical products and over 20 additional medical devices, which are in the registration process under China Food and Drug Administration for their importation and sales in China. As of 31 December 2014, the Company sold products through its nationwide marketing, promotion and channel management services networks to over 28,500 hospitals and other medical institutions and over 105,000 pharmacies across 31provinces, municipalities and autonomous regions in China.